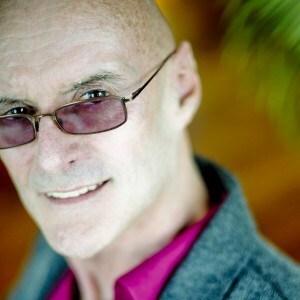 Ken Wilber wrote a guest contribution to our IEC blog in which you will learn why the ideas in his new book “Integral Meditation” matter for your own personal development as well as for European leaders in times of crisis and transformation. In the last few years, the solidarity of the European Union has been—and is continuing to be—tested as harshly as it has ever been in its entire history. From financial crises to the overwhelming refugee/migrant problem, from Right Wing insurgencies to British ambivalence, the European Union is undergoing profound stress. From once standing as a bright star beautifully representing the ongoing unification and increasing wholeness of overall evolution itself, to a possible example of devolution, decay, and fragmentation, this extraordinary experiment in unity has been put under the gun with so many brutal challenges. During such times, those who favor the existence of the EU as a leading edge of cultural evolution, naturally are led to ponder and reflect on just what might be going wrong, and what might be done to help correct the situation. And from a developmental viewpoint, there are two sources of growth, both of which are extremely important, that need to be considered: first, evolution from the bottom up (where the general center of gravity of the masses themselves inches upward, thus increasing the overall depth of the culture itself); and second, from the top down (where individuals at the leading edge of evolution increase in number and influence, thus bringing the values and wisdom of increased wholeness increasingly into the culture). The first move often involves politics at large, which works with collective consciousness; the second move often involves items like meditation and growth practices, which push the edge of the evolutionary envelope in individuals, opening to higher and higher levels of consciousness. The Integral Approach emphasizes the absolute importance of both; but Integral is also one of the few approaches that recognizes the importance of the second type, or individual self‑growth practices such as meditation (Enlightenment, Awakening, Moksha, Satori, Metamorphosis). But what we have realized, in just the last decade or two, is that meditation—or the general process of Waking Up—is not the only important self‑growth and self‑transcendence process in existence. In addition to Waking Up—which aims at the development of consciousness from a narrow, limited, finite, separate‑self sense or ego to an identity with what is said to be an ultimate, infinite, selfless Self and pure Spirit—but in addition to that Waking Up, there is the developmental process of Growing Up—which aims, not at an ultimate and infinite Self and Spirit, but at all the smaller, finite, conventional stages of growth of the finite conventional self. Waking Up involves the developmental meditative stages toward an ultimate Self and Spirit (a path of Emptiness); Growing Up involves the stages of maturity of the finite separate self (a path of Form). Now the only reason that both of these paths (Waking Up to Emptiness and Growing Up in Form) are equally important, is due to the universally acknowledged unity or nonduality of Emptiness and Form (or infinite and finite, nirvana and samsara, heaven and earth, formless unmanifest and manifest form, transcendent and immanent). The stages of growth of the separate self or ego—although in one sense they are illusory, false, not ultimately real—they are nonetheless the manifest vehicles in the world of Form through which the formless spiritual Self expresses and manifests itself. These two larger paths—Waking Up and Growing Up—turn out to be largely independent from each other, so that an individual can be highly developed in one (such as Waking Up) and poorly developed in the other (such as Growing Up). And this is more the rule than the exception—we hear of spiritual teachers almost daily getting exposed for some actions that are deeply sexist, or racist, or power-driven, or rigidly authoritarian, or homophobic—they might be very advanced in Waking Up, but they are not very advanced in various lines or multiple intelligences of Growing Up. Their enlightened realization might be very deep, but the vehicles through which this realization is expressed and manifest are quite shallow, damaged, broken, or immature. 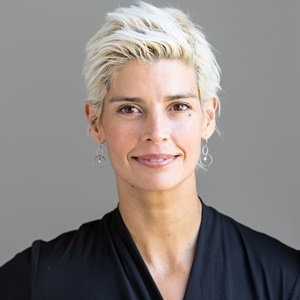 (For examples of this, see the book Zen at War, where several Zen masters, highly respected for the depth of their Enlightenment or Waking Up, nonetheless express numerous ideas that are deeply ethnocentric, prejudiced, immature, and very poor in Growing Up.) Real and true growth and Enlightenment, on the other hand, requires a substantial development in both the path of Waking Up and the path of Growing Up. 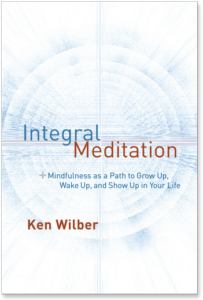 An eBook I just released, called The Fourth Turning, and my latest book, a regular book just out, called Integral Meditation, bring both of these paths together for the first time. The major stages of Waking Up are outlined and described; the major stages of Growing Up are likewise outlined and described; and then a large number of specific experiential practices bringing both of them together are carefully given, walking the reader through an integrally-unified meditation that is quite profound in accelerating both one’s Waking Up and one’s Growing Up. And the point is that, if we are going to have a true leadership about the wisdom of wholeness for the European Union, we will increasingly need leaders who have themselves actually grown into real wholeness and union in both the path of Waking Up and the path of Growing Up. Otherwise their messages will be riddled with hidden fragmentation, partiality, and brokenness—and that brokenness will infect the European Union top down, with disastrous consequences.